You may be over the river and through the woods this holiday season, but if you have a pet who is sick, immunocompromised, affected by cancer, or otherwise not well it can make things a little more complicated. 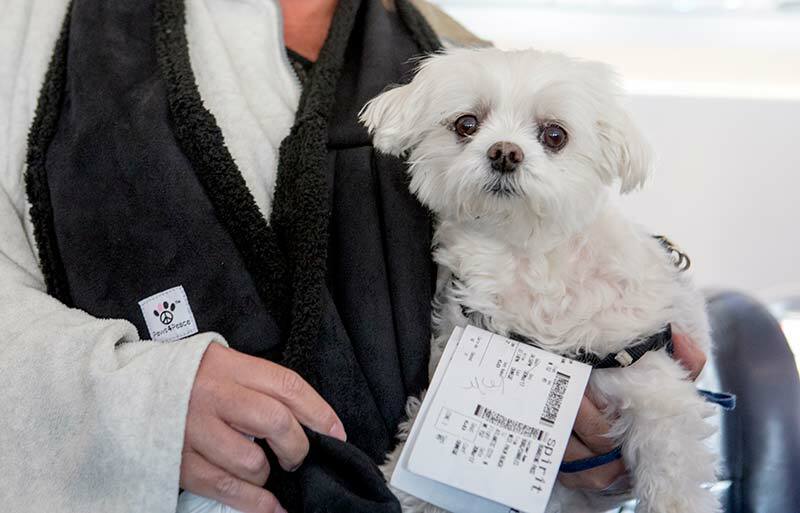 The Pet Experts at Naperville Animal Hospital have you covered, though, with our tips for traveling with a sick pet. It can be stressful enough taking a pet on a trip. You need to remember all the associated supplies, plan your pit stops, and be sure that you have everything that you might need along the way. Sometimes when these things are assessed, the risk of bringing a special needs pet along outweighs the benefits. In these situations it may be best to board the pet at a facility such as ours that is capable of meeting any special medical needs. An in-home pet sitter comfortable with the situation can also be a good option for most pets. If you do decide that it is worthwhile to bring your furry patient along, being prepared is very important. Anticipation of potential health needs is vital to everyone enjoying their time away from home. Just because your pet has special health concerns doesn’t mean that you can’t include them in your travels. Certainly there are situations in which the risks outweigh the benefits, but in most situations it is doable with a little planning. Please note that for international travel, we ask that you please contact us at least a week in advance to make an appointment for the doctor to see you and for us to prepare the proper paperwork, and assist you with complying with the USDA guidelines. If you need help trying to decide whether to bring along your four-legged patient or not, please give us a call. We are happy to help you assess the situation.